For those who prefer a shorter scale 30 3/8" bass then this is the perfect solution in a modern state-of-the-art instrument. Originally designed for Garry Tallent from the E street band, this has now become a very popular addition to the amazing Spector range. Featuring a lightweight body topped with a superb piece of quilted maple with a high gloss trans black satin finish, a 3 piece graphite reinforced maple neck and pau ferro fingerboard this bass feels like pure class. 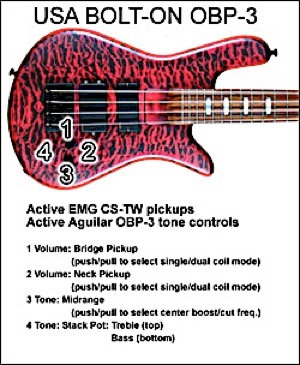 The electronics are handled by EMG 35TW with single/dual coil switching pickups that are mated to the industry standard aguilar OBP 3 band eq with 2 selectable mid frequencies and active/passive switching. This bass is capable of a vast range of useable tones and is a dream to play. The bass is really light weigh at 8lb /3.6kg and comes with fitted Spector case. Originally designed for Garry Tallent (Bruce Springsteen & The E Street Band), we are proud to offer the SPECTOR® “Shorty™" Short Scale (30 3/8”) bolt-on bass. 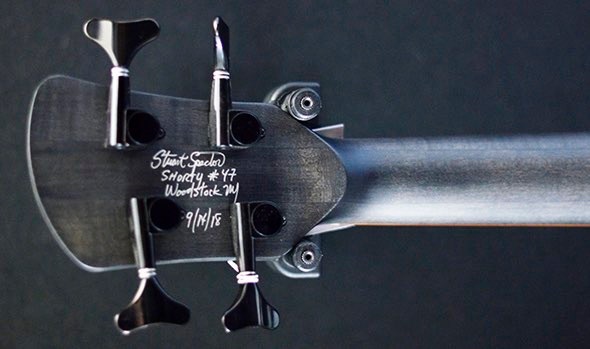 The Shorty™ also features a first for the NS-Bass™, a string through body design! 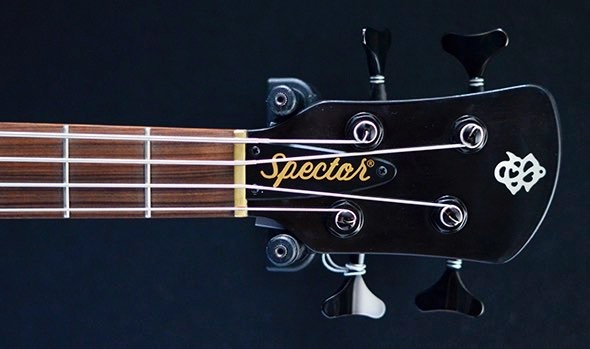 Ask your SPECTOR® dealer for more information about this exciting new model. 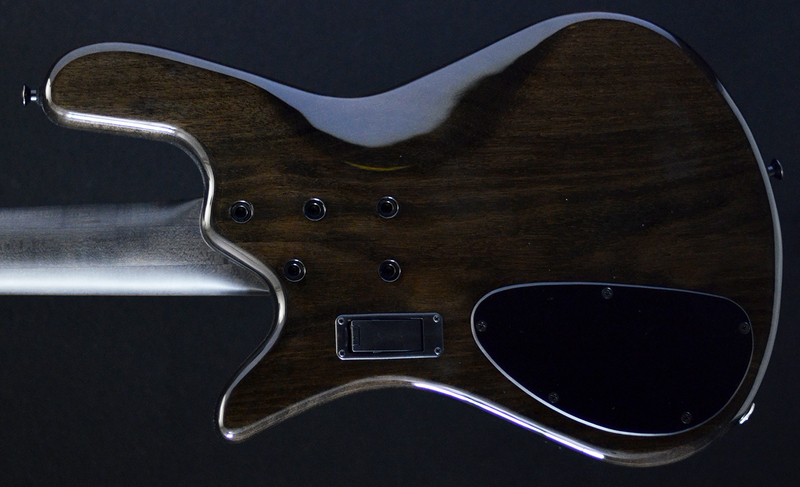 but with the same ergonomic comfort that makes the NS-Bass™ so comfortable to play. 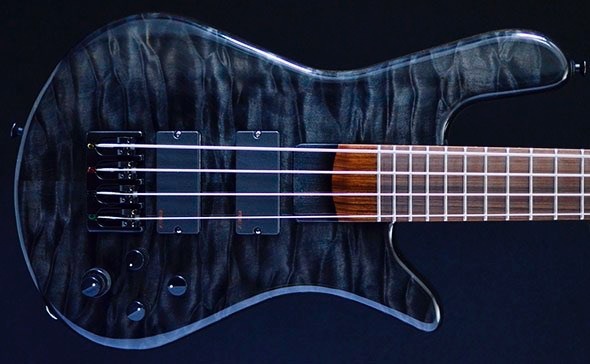 •These basses are powered by ACTIVE EMG® Pickups and Aguilar’s® Dynamic OBP-3™ Tone Circuit with several available pickup configuration options including "J" and "MM" pickups. •Each model features our ORIGINAL DEEP SOCKET NECK INSERT™ design. Stuart Spector invented this neck/socket design in 1982 to allow bolt-on basses to have increased sustain and stability. •A newer-modified NS-Body™ design. This design uses the original NS-Body™ profile but has less rounding of the main body planes. The horns are not as round and the back body curve is slightly less dramatic than our Neck-Thru NS-Bass Models™. •Each model has a solid lightweight Mahogany body with a sold top of either exotic wood (EX) or figured Maple (FM). •3 Piece Rock-Maple graphite reinforced neck with 24 fret Pau Ferro (Bolivian Rosewood) fingerboard and mother of pearl SPECTOR® Crown Inlays.